Officially Spotsylvania was established in May of 1721, but people had been residing in the area for many decades prior to the naming of the county. There were people from all over the area that had patented land near the Rappahannock River. One of the largest owners of land was Lawrence Smith who was put in charge of Colonial For during this time period (Felder 3). During early settlement days there were many battles between the frontiersmen and the Indians of the area. Alexander Spotswood, the counties namesake, was a big proponent of defense programs in the region to protect the settlers from native attacks. Around 1713, while he was emphasizing the attacks on the Indians, Spotswood was able to establish iron mining and Spotswood’s Furnace. It has been debated whether he was trying to advance the colony or was seeking to build the industry for his own personal gain (Felder 7). As he sought more land to mine on the General Assembly obliged him by giving him more land in the Rappahannock area. In 1721 the county was officially named Spotsylvania, coming from the Latin, meaning “Spotswoods”. In 1728 the city of Fredericksburg was formed from the county. Spotsylvania County is probably best known for the Civil War battles that occurred on its lands. Being centrally and strategically placed in between Union and Confederate armies it was a hotbed of battles and skirmishes. Some of the famous battles that took place on these lands were the Battle of Chancellorsville, Battle of Fredericksburg, and the battle at Spotsylvania Courthouse. Spotsylvania is where many of the great generals of the Civil War went head to head, including Stonewall Jackson who died in Spotsylvania after receiving a bullet wound that led to an arm amputation and ultimately his death. There are many other highway historical markers dealing with the Civil War in Spotsylvania and can be found on our website. The county seat of Spotsylvania is the Spotsylvania Court House. In and around the county there are many independent cities such as Fredericksburg, who run their own separate government. Along one side of the county is the Rappahannock and it is also neighbored by Orange, Culpepper, and Caroline County. According to the latest from the US Census Bureau the county is a total of 412 square miles. As of 2000 the population was 90, 395 people. “Caroline County, Virginia, was formed in 1727, the first year of the reign of George II, and derived its name from the new Sovereign’s wife, Queen Caroline” (Wingfield 1). 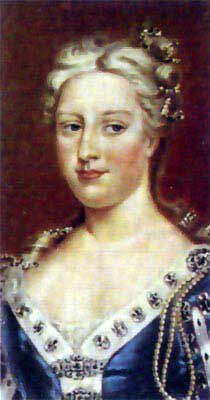 Queen Caroline was also known as Caroline of Anspach, who was a fascinating woman. She courted several well-to-do men including Charles of Hapsburg, heir to the throne of Prussia and “pretender to the Spanish throne” and Friedrich Wilhelm, crown prince of Prussia (Campbell v). She married George Augustus of Hanover, soon to become King George II of England. In the colonies, the effort to pass the legislation to establish the county took three days in the House of Burgesses, but finally passed on Tuesday, March 11, 1727 (Wingfield 1). Caroline County was the twenty-ninth county of the Commonwealth of Virginia. The county’s contributions have been innumerable, and one Caroline County enthusiast went as far as to say that “Probably no political unit of the same area has contributed more to the sum of human thought and action since the golden days of Athens” (Wingfield 1). The enlarged territory of Caroline County was passed through the legislature on June 7, 1742, which is approximately the same territory as it holds today (Wingfield 2). George Rogers Clark, known for his gallant service during the Revolutionary War, and his younger brother, William Clark, a man chiefly known for his exploration with Meriwether Lewis, were both born in Caroline County. The first English member of his family to settle in Virginia was John Clark, who settled in 1630. Ann Rogers and John Clark III had ten children; George Rogers Clark was their second, born in 1752, and William Clark was born in 1770, the ninth of ten children. The family moved into Kentucky territory while William was still an adolescent. They established their new homestead, “Mulberry Hill,” here (Wingfield 178). Here, William served under his General brother, George, in the militia army and went on several important Indian explorations with the Wabash Expedition. George was remembered by many as “the Hero of the Vicennes,” but later struggled to appease the many suits against him for the supplies his troops used during his time in the Revolutionary War (Wingfield 179). William and George ended up giving up their beloved “Mulberry Hill” and moving to a new territory below the mouth of the Tennessee River . It was on July 16, 1803, that William Clark received a letter from Captain Meriwether Lewis describing their journey to come. Lewis wrote, “there is no man on earth with whom I should feel equal pleasure in sharing them [the adventures] as with yourself” (Wingfield 179). Congress allotted the funding for this expedition under the request of Thomas Jefferson (180). Jefferson announced the Louisiana Purchase on July 4, 1803. The expedition began on May 14, 1804. It ended September 23, 1806, when they reached St. Louis. 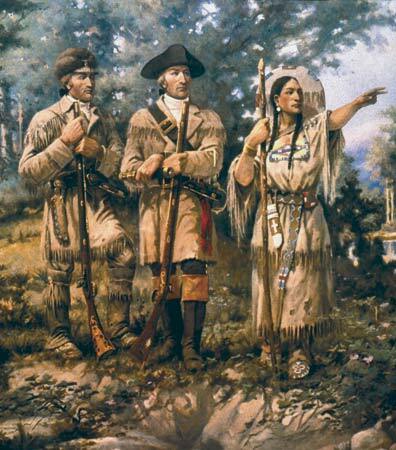 The Lewis and Clark Expedition lasted over two years in all (lewisandclark.net). 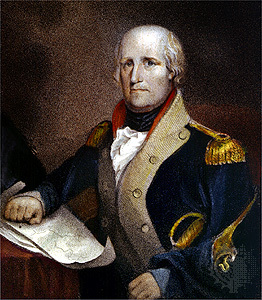 When they returned, Lewis was named the Governor of the new territory of Louisiana, while Clark was made Superintendent of Indian Affairs (181). The Clarks are not the only well-known names to come out of Caroline County. Other important historical figures include General William Woodford, Edmund Pendleton, John Penn, James Hoge Tyler, General Jo Lane Stern, Lewis Melville Baker, James B. Wood, Dr. Joseph A. Chandler, Richard Hawes, Samuel A. Swann, Archibald Samuel, and many more (Wingfield 223). Other exciting affairs occurred in Caroline County, including the killing of John Wilkes Booth (Wingfield 267). Today, Caroline County has two towns incorporated into its County limits, Bowling Green and Port Royal. The estimated total population of Caroline County as of 2005 is 25,563 persons with 766 in Bowling Green and 244 in Port Royal. They County itself is 549 square miles but also has allotted portions for special purposes. The Fort A.P. Hill Military Reservation encompasses 77,000 acres. Commercial forest land takes up another 261,700 acres, while 501,605 acres are occupied by farm land (visitcaroline.com). “Caroline of Anspach,” Geocities.com (accessed April 21, 2008). “George Rogers Clark,” Britannica Online Enclyclopedia, http://www.student.britannica.com/comptons/art-52107/George-Rogers-Clark?&articleTypeId=31 (accessed April 21, 2008). “Lewis and Clark,” Britannica Online Enclycopedia, http://updatecenter.britannica.com/art?assemblyId=75208&type=A (accessed April 21, 2008). Campbell, T.E. Colonial Caroline: A History of Caroline County, Virginia. Richmond, VA: The Dietz Press, Inc., 1954. County of Caroline, Virginia. http://www.visitcaroline.com/about.html (accessed April 21, 2008). Fall, Reverend Ralph Emmett. People, Postoffices and Communities in Caroline County, Virginia 1727-1969. Roswell, GA: WH Wolfe Associates, 1989. “Lewis and Clark Timeline.” Yankton Daily Press. http://www.lewisclark.net/timeline/index.html (accessed April 21, 2008). US Department of Commerce, Bureau of the Census. http://www.census.gov (accessed April, 21 2008). Wingfield, Marshall. A History of Caroline County Virginia. Richmond, VA: Trevvet Christian and Co. INC., 1924.